This is my big secret revealed! I’m opening a creative writing school called Gertrude’s Writing Room. This is what I’ve been working on all year. Surprise! Can’t wait to play and learn and write with you! 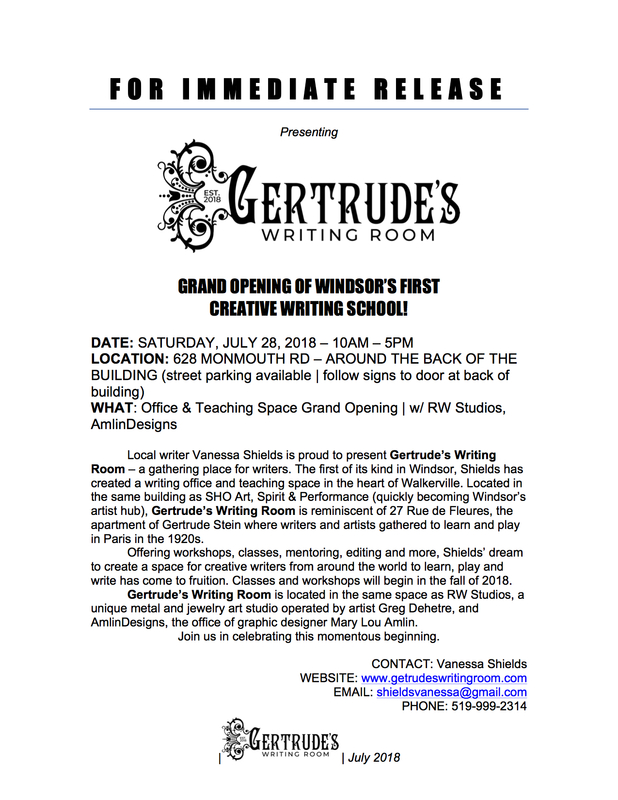 Next Post Grand Opening of Gertrude’s Writing Room – Pics and More! Congratulations Vanessa! Awesome concept. I wish you every success! Vanessa!!! What wonderful news! I so wish I could be there for your opening. I’m so proud of you. This is incredibly cool. One more reason for me to immigrate to Canada. Can’t wait to hear more. We should do an interview for my blog, no?